Belmont Place, a luxurious apartment community just minutes from downtown Atlanta, is the perfect place for residents looking to enjoy an upscale and active lifestyle. At Belmont Place, we have combined the finest amenities, facilities and leisure options to create a haven of convenience and comfort. Belmont Place's six apartment styles offer everything from fourteen-foot ceilings, rich hardwood floors and custom crown molding to high-speed internet access and private decks and balconies. Residents have access to the elite Cobb County Schools, including Wheeler High School. 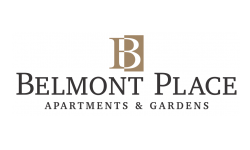 To find out how you can make Belmont Place your new home, call or visit today!